This Holiday Season Give the Gift of Books! Order Today and Get the Lowest Prices of the Season! 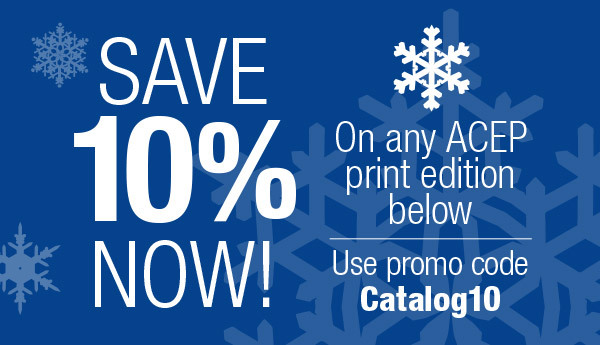 Save an additional 10% off any ACEP print edition listed below by using promo code: Catalog10.